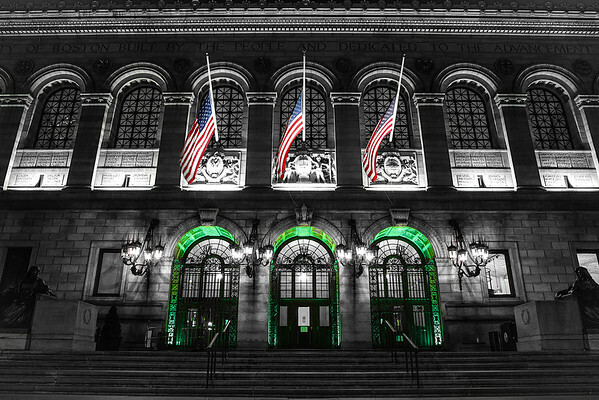 Night time at Boston Public Library on the evening of 9/11/16. A powerful image to remind us of strength on the 15th anniversary of the attacks on our nation. Never Forget.